II-VI’s SiC substrates are used in power amplifier devices that are embedded in 4G wireless remote radio heads. These devices are expected to be embedded in even greater numbers in active antennas for 5G wireless. SiC has a high number of intrinsic physical and electronic advantages over competing semiconductor materials, such as the ability to operate at high power levels and still dissipate the excess heat generated. 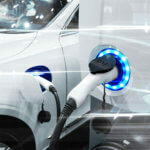 Power conversion electronics for high efficiency electric vehicles need a combination of high power density, high efficiency and high temperature operation that is only afforded by advanced material systems based on SiC substrates. Our market-leading SiC substrates have best-in-class quality and low dislocation density, and we have demonstrated perhaps the industry’s first wafer as large as 200 mm in diameter. Motivated to reduce carbon-dioxide emissions, many countries across the globe are sponsoring while others have already passed legislation to require or provide incentive for zero-emission and low-emission vehicles, such as electric vehicles (EVs), to be phased in by 2050. Major automotive manufacturers worldwide have announced plans to electrify their cars and trucks, with some EVs already on the market with growing sales. Most credible estimates project that fuel efficiency can be improved by about 10% by replacing Si power devices with SiC-based technology that will enable power converters and inverters in EVs. 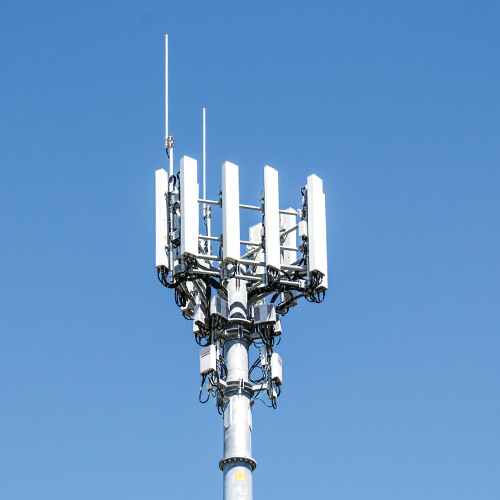 To meet the massive growth in consumer demand for bandwidth, wireless service providers around the world are racing to deploy 5G wireless and exert their influence to advance the establishment of supply chain ecosystems and technology standards. The release of an early version of the 5G standard is expected by the end of 2018, with the full 5G implementation by 2020. The latter will leverage the high speed capabilities of the millimeter wave band using gallium nitride on silicon carbide (GaN/SiC) power amplifiers. Concurrently, the widely anticipated adoption of beam-forming technology is expected to further increase the demand for GaN/SiC power amplifiers by approximately an order of magnitude.